Age 97 of Custer Park, Illinois and formerly of Chicago, passed away Tuesday morning, February 5, 2019 at Riverside Rehabilitation Center in Kankakee. Born April 16, 1921 in Chicago, Mary was a daughter of Karl and Caroline Fruestick. She married Edward H. Bonkowski, and he preceded her on death in 1958. Mary was employed in the warehouse for A&P Foods until her retirement, and then went on to work as a housekeeper for various clients on the Gold Coast. Most recently, Mary attended St. Rose Catholic Church in Wilmington. 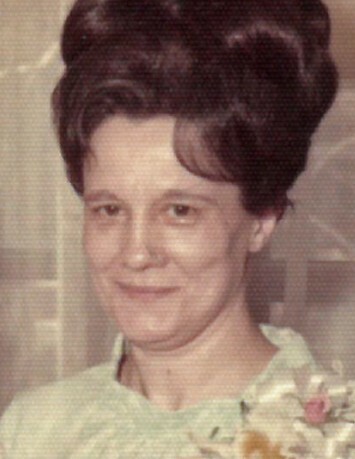 Survivors include two children: Donald (Flo) Bonkowski of Kentucky and Beverly (Robert J.) Kuryga of Custer Park; several grandchildren; numerous great grandchildren; one brother, Joseph and two sisters: Honnie and Theresa. Mary was preceded in death by her parents; husband Edward, and one daughter and son-in-law, Shirley and George Stubblefield. Visitation will be Friday, February 8, 2019 from 9:30 a.m. until 10:30 a.m. at Baskerville Funeral Home, 700 E. Kahler Rd. in Wilmington. Funeral services will follow at 11:00 a.m. in St. Rose Catholic Church in Wilmington, where a Mass of Christian Burial will be celebrated with Reverend Sebastian Gargol officiating. Burial will be in Resurrection Catholic Cemetery in Justice, Illinois.